Prominent & Leading Wholesale Distributor from Chennai, we offer botox. 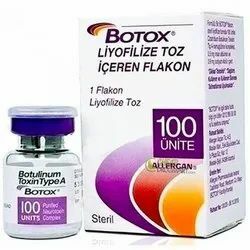 BOTOX® (onabotulinumtoxinA)for injection is indicated for the prophylaxis of headaches in adult patients with chronic migraine (≥ 15 days per month with headache lasting 4 hours a day or longer). Looking for Migraine Tablet ?